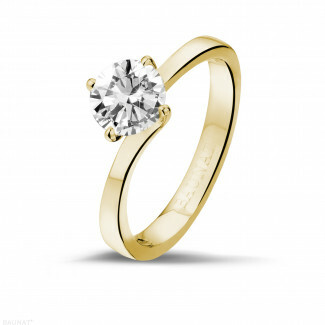 Are you looking for a classic and timeless engagement ring? 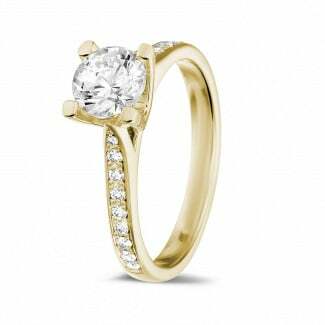 Propose to your beloved with one of our yellow gold engagement rings set with high quality diamonds. Our collection is handcrafted using on the best materials and has, as a result, an excellent price/quality ratio. 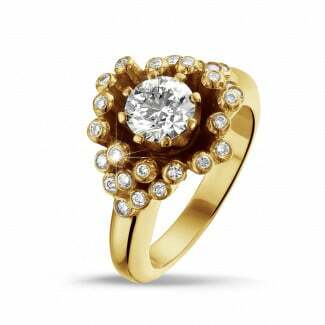 BAUNAT’s assortment of diamond engagement rings in also available in white gold, red gold and platinum. Our jewellery collection is handcrafted in Antwerp and our experts personally guarantee only the highest quality precious metals and diamonds are used. With a diamond engagement ring that meets all your requirements, your proposal is sure to be an unforgettable experience. But what if you cannot find the ring you are looking for? 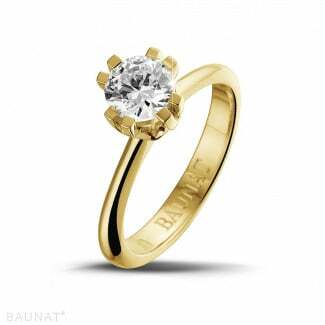 BAUNAT also offers you the possibility of creating a tailor made engagement ring. You can count on our expert advice throughout this process, from design to finished product. How can I find a ring that suits my partner perfectly? When choosing your ring, we recommend you take your time to pick a ring that embodies your partner’s individuality and personal taste. Let our experts guide you in the process of buying a yellow gold engagement ring or come to one of our specialized showrooms for inspiration. Can I buy my engagement ring online as well? 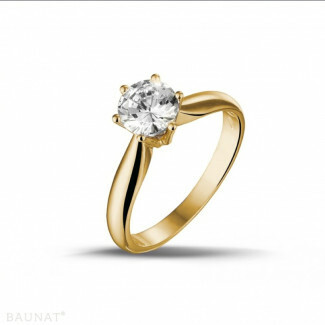 BAUNAT’s complete jewellery collection is available online, and likewise our collection of yellow gold engagement rings. It is thus very easy to browse through our extensive offering and make your choice. 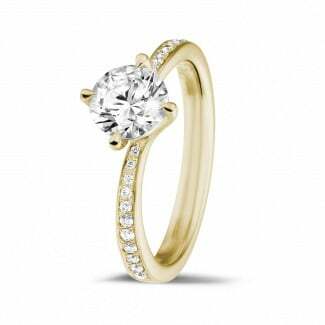 Also, did you know that online prices are approximately 30 to 50% lower compared to your local jeweller? We offer our clients free shipping and 30 days in which to change their minds as well. 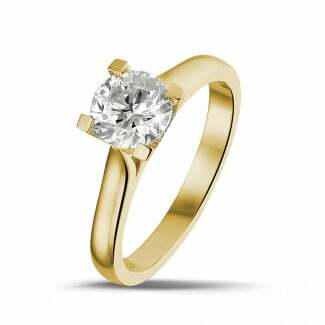 If the yellow gold engagement ring does not fully meet your expectations, you can exchange it for a different design, hassle-free.